4 bed room 2 bath pet friendly home with 3 great gathering spaces sleeps 12 Welcome to the Star Gazer! Partial ocean-view decks, easy beach access, just a half block to Tolovana Park, and three distinct living areas make this large, rambling home the perfect place for fun family gatherings! Pets are welcome, and the home sleeps up to 12 people. The main level is on the second story, with a bright and sunny living/dining area adjacent to the fully equipped kitchen. There is a gas fireplace here, as well as TV/VCR and WiFi throughout the house. This room opens to the wonderful deck, where you can take in the breathtaking peeks of the ocean and mountains while you relax in the sunshine. Stairs lead to the fenced, grassy yard, as well as the parking area. There are two bedrooms on this level (one with a king-sized bed and peek ocean view and the second with a queen-sized bed) and a large bathroom with a shower. 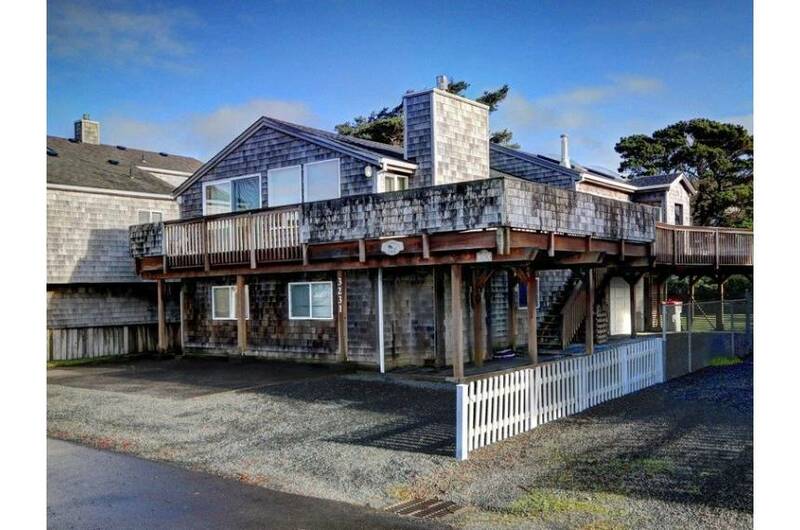 A cozy front living-room graces the west end of the home, facing the ocean and complete with gas fireplace, big-screen TV/DVD/VCR, and stereo! The downstairs is separated from the main part of the house by a garage, providing privacy if desired. 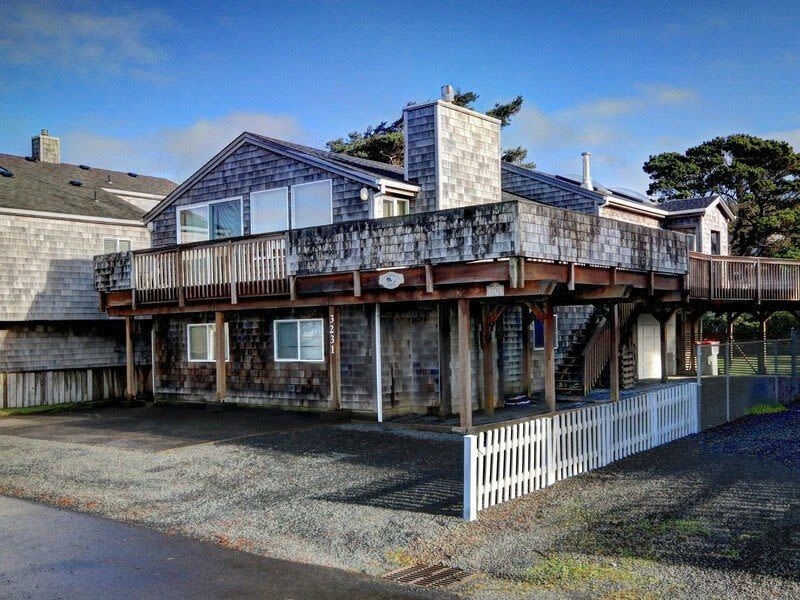 There are two bedrooms (each with queen-sized bed), bathroom with a shower, living/dining area with gas fireplace, TV, and small view of the ocean. A microwave, and basic dishware are also provided here. The Star Gazer is located just one house from the beach in the south end of town (two miles from downtown), and just a block away from a two markets, a coffee shop and Tolovana Park (playground, picnic tables, restrooms). Enjoy the simple pleasure of walking to your destinations, and don't forget to check out the stars!